Okay, this is the next thing that Candy Empire needs and HAS to import. Speculaas Spread/ Biscoff (as it is known in the US) spread is made from what we know as ‘lotus biscuits’. 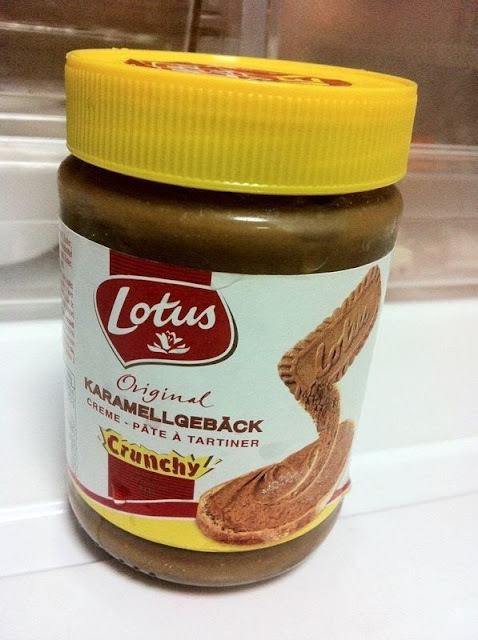 ‘Lotus’ is a brand and they produce a Belgian cookie known as speculoos (to the British) or Speculaas (to the Dutch). It does look foreign to some but I see lotus biscuits in Fairprice Finest, Cold Storage, and…… NUS Law CO-OP. I know. It’s the last place you’d think of finding these biscuits but hey, they stocked up lychee pocky for a period of time how cool is that! Anyway, back to the topic. This is essentially lotus biscuits reduced into paste form. There’s a smooth and a chunky version- the concept is not too different from peanut butter. If I get really desperate, which might happen soon since I’ve finished my jar, I might just try whipping up some on my own…. though I doubt it will be as nice as the commercial version. The origins of this spread is kinda funny. It emerged from Belgian Television Show called ‘The Inventors”. “Els Scheppers, a culinary enthusiast, created a recipe that converted Lotus Speculoos cookies (known in the U.S. as Biscoff Cookies) into a savory, creamy spread.” (link here).